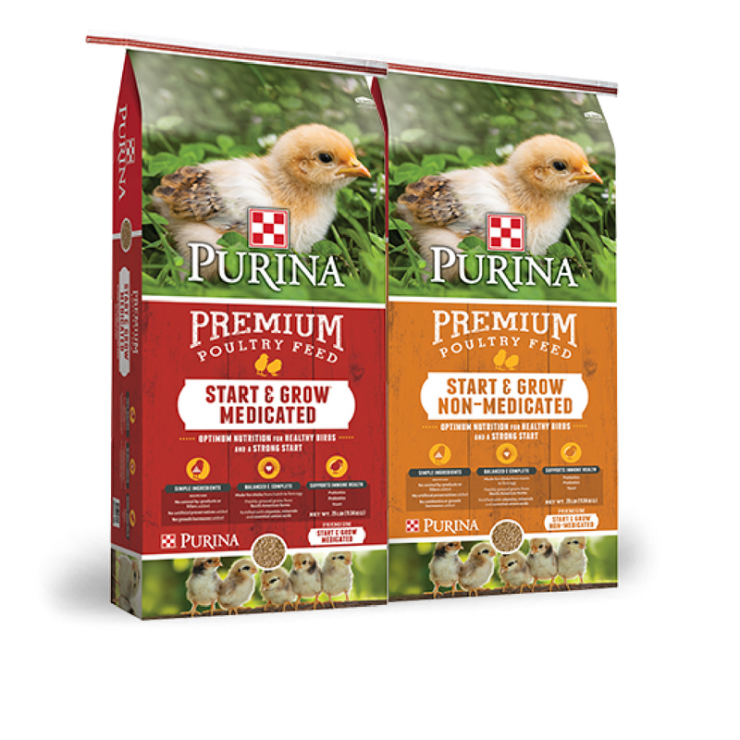 Purina Start & Grow provides optimum nutrition for raising laying chicks from hatch to laying age (18-20 weeks). This complete feed with 18% – protein and quality nutrients is perfect for a strong start and early hen development. Formulated with prebiotics and probiotics to support optimum digestive health and immune function.